Wine enjoys a rich history that dates back to ancient civilizations. As early as 6,000 BC, men had developed methods of fermenting grapes to produce wine, which was treated as a valuable commodity in trade. As global exploration brought settlers to new lands, so viticulture flourished—evidence of early American vineyards remain in the hybrid Scuppernong vines of the Carolinas and Florida, while visitors of Monticello can tour the grounds where Thomas Jefferson established his personal winery. 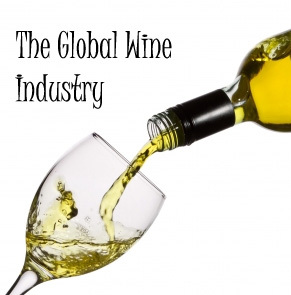 Today, the wine industry flourishes throughout the world with an expected sales revenue in the billions. According to The Wine Institute, consumption of wine in the United States has grown steadily in the last twenty years, with an increase of more than 250 million gallons. This amounts roughly to two and a half gallons per person. Just Drinks predicts a growth in Chinese wine production and sales, to rise by ten percent by 2015. The Food and Agriculture Organization reports that more than seventy percent of global grape production is used for winemaking. Of the varieties grown, the Spanish Airen grape is the most commonly planted. Italy – Though Italy is reported to have only a third the number of active vineyards as France, the country has barely edged their EU neighbor in terms of wine production. Four and a half million tones of wine come annually from Italy. France – France leaves an indelible mark on global winemaking. Many varietals that originated here are sold to wineries around the world for commercial planting. Top wines from France include Merlot, Grenache, Syrah, and Cabernet Sauvignon. Spain – Over 400 types of grapes are planted annually in Spain, though the most popular in winemaking include the Tempranillo, Airen, and Garnacha. United States – California is most often associated with wine produced in the US, though nearly every state in the union has at least one active winery. California, New York, Oregon, and Washington state lead the country in wine production. China – According to The Drinks Business, China ranks in the top five of wine-consuming nations. The bulk of their production remains for domestic sales and consumption, though the country is slowly gaining ground on the global scale, with trade to Canada and the United States. Some may suggest the wine industry is, like other “vice” businesses, recession proof. Nonetheless, sales and consumption have dipped in markets as they rise in others. Emerging markets like China and Hong Kong are predicted to take more of the spotlight from old world producers like France and Spain, while a growth in organic winemaking processes may give attention to new production paradigms. However and wherever the wine is made, one can expect the industry to take notice. In recent years we hear more about businesses making the commitment to “go green.” For many, this may entail the gradual phasing out of paperwork in place of digital documents and reports shared online. Newspapers and magazine now offer digital editions that may be read on computers and eBook readers, and bank statements and receipts may be accessed via e-mail. Nonetheless, despite this shift the United States alone consumes nearly half a ton of paper annually, therefore the industry remains critical to global trade. According to a 2007 report from the Environmental Paper Network, not only is nearly half of all wood harvested for commercial use delivered to produce paper products, but the industry as a whole ranks fourth among the largest contributors to greenhouse gas emissions in the US. Western Europe’s population accounts for the largest percentage of paper use per person (about a quarter of a ton annually). Surprisingly, of the paper produced globally, less than half of the output is recovered for recycling. The United States – In 2006, the US Industry and Market Outlook reported over four hundred working paper mills in the country. Exports of product average close to $15 billion. Canada – Paper and pulp production is considered one of this country’s largest industries, close to a sister industry: forestry. One of the nation’s leading manufacturers, AbitibiBowater, Inc., has ranked among the top ten of global producers. 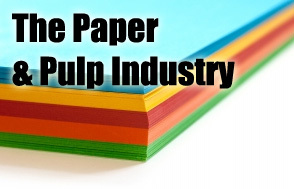 Finland – According to RISI, Finnish paper manufacturers have accounted for more than twelve thousand tons of product, making them one of the more productive European countries in this industry. Sweden – Like her neighbor Finland, Sweden ranks high among European pulp and paper producers. A leading company, Svenska Cellulosa Aktiebolaget, maintains nearly three million hectares of forest land for natural resources. China – Currently ranked the highest producer of paper and pulp, China’s output is nearly triple that of the next Asian leader in the industry, Japan. When one considers challenges in paper goods production, it is inevitable one must face issues with pollution and recycling. According to the Environmental Paper Network, while paper-based garbage has decreased over the last decade in the United States, consumption remains high. The act of switching to a reduced fiber paper in US offices alone could significantly reduce pollution in the country by ten percent. Elsewhere in the world, other leaders in the industry have had to face challenges. In 2010, a strike among Swedish plant workers affected six mills. Two years later, rumblings in the industry continued until plans for a strike were dropped following a deal to assist workers. While we may read more books on our phones and tablets, the need for paper to contain food and keep us clean stays in high demand. The paper industry remains important in the global realm, and hopefully it will change in order to change the environment for the better. Gas, petrol, petroleum…no matter how often we curse the price of it we wait in line to buy more. We may calculate exactly where to find the best costs per gallon or liter as we drive around town, and probably assume it all comes from the same place. It is interesting to note, however, that where we get our oil isn’t always the place we expect. Oil accounts for more than a quarter of the planet’s energy resource needs. While mainly used to power vehicles and machinery, oil may also be found in other products that are petroleum-based. Oil is not a renewable resource. Typically this means that once it’s used, it’s gone. However, practices are in place that maintain oil reserves, which hold oil that is recovered through various means. The BBC reported in 2006 that over twelve hundred billion barrel of crude remained in reserves, which was estimated to last about forty years. BP reported that same year that the US alone consumes on average twenty billion barrels a year. Russia – Russia exported an estimated 7.5 million barrels in 2010. Main importers of their product include Germany, Norway, and the United States. Saudi Arabia – With well over seven million barrels exported annually, Saudi Arabia offers a great bounty to trade nations China, the United States, and Japan. Iran – Iran’s main trade partners in oil include Spain, India, and The Netherlands. In 2010, the country shipped out almost 2.5 million barrels. United Arab Emirates – The UAE deals mainly with Japan, Iran and South Korea when it comes to exporting their oil. Norway – Norway exports just over two million barrels annually, with the bulk of their product going to the United Kingdom and the Netherlands. According to Consumer Energy Report, while Saudi Arabia remains an important nation in this industry, other countries have gained ground in production and distribution. Canada and Mexico, for two, overtook Saudi Arabia’s position as top exporter to the United States in 2011—Canada’s yield of over two thousand barrels a day into US was twice what the Saudis shipped over. The search for viable sources for oil continues, despite industry assurance that we have plenty for us for the next several decades. The challenge in finding more, however, could lead to higher prices at the pump, which seems to occur with regularity in recent years. Horizontal drilling, a method by which companies drill straight into oil reservoirs, has proven to give companies a better way to get to hard-to-reach material, though the method is similar to fracking for natural gas. Environmental activists do not look kindly upon this activity. How long will the oil last? If we believe the earlier affirmation that we have a good forty or so years left, it may be time to look into alternative methods of energy. Discovery of new oil, however, remains a global prospect that majors nations will continue to pursue.